October 4, 2016 (Raleigh, NC) This week, Everest Agency announced NC Vision Zero’s website launch release. NC Vision Zero is a North Carolina program with a goal to reduce and eliminate roadway fatalities with the use of data to predict and prevent future accidents. NC Vision Zero is founded on three principles–that no loss of life on NC roads is acceptable, that injury or loss of life is not an inevitable cost of mobility, and that all road users deserve safe streets. Can you envision a day with zero deaths each day on North Carolina roadways? With the help of NC Vision Zero this could be a great possibility one day. NC Vision Zero needed a website that provided useful tools and resources to educate all North Carolinians on roadway safety. The website features updated traffic statistics of situations where crashes are more likely to happen and ways to prevent roadway collisions. These are imperative tools that all roadway users need to be aware of whether you are a pedestrian, a bicyclist, riding a bus, a motorcyclist, an older driver, a young driver, child passenger, etc. With the introduction of this website, NC Vision Zero will be able to reach wider audience and maximize their efforts. Through continual interaction and open dialogue, Everest Agency was able to provide NC Vision Zero with a beautiful and modern website that will drive efforts to ensure that all road users have safe streets. Everest Agency delivered a responsive website design that communicates an ease of use on all types of devices. The website features custom WordPress implementation. Due to creative thinking, thoughtful design, and a dedicated team, Everest Agency was able to achieve the vision for an outstanding and informational website. NC Vision Zero held a statewide kickoff event on Monday morning at NC State University’s McKimmon Center. 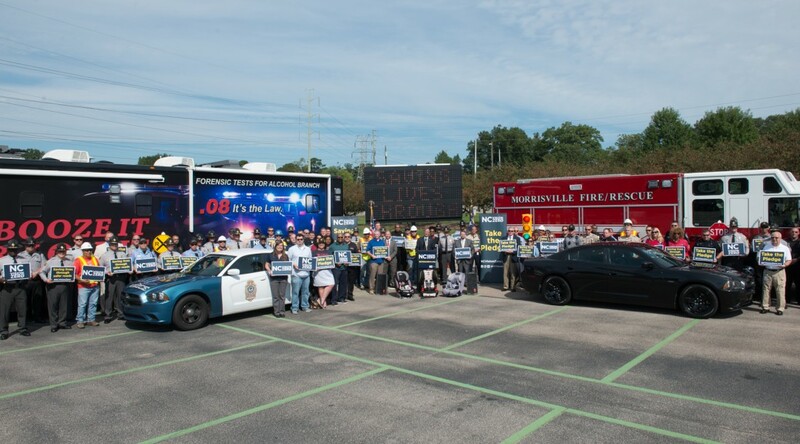 The event was attended by Governor Pat McCrory who started the initiative, law enforcement, NCDOT Secretary, GHSP Team, ITRE Team, and other local officials. View pictures from the launch event here. Everest Agency is an interactive, integrated marketing agency that creates award-winning websites, brands, marketing collateral, and online marketing campaigns. We work with a diverse clientele in the Raleigh, NC area and throughout the US. Our client relationships spread across various industries including technology, universities, cosmetics, non profit, and home building.